Named for its backwards assembly, this dreamy dish is similar to your standard French onion soup, except you serve it upside-down! The “croutons” go on the bottom, the soup sits on top, and the cheese goes everywhere. Drool. And if you hate wasting things as much as I do, this is the perfect way to use up the stale leftovers of easy French bread or any other baguette-type bread. 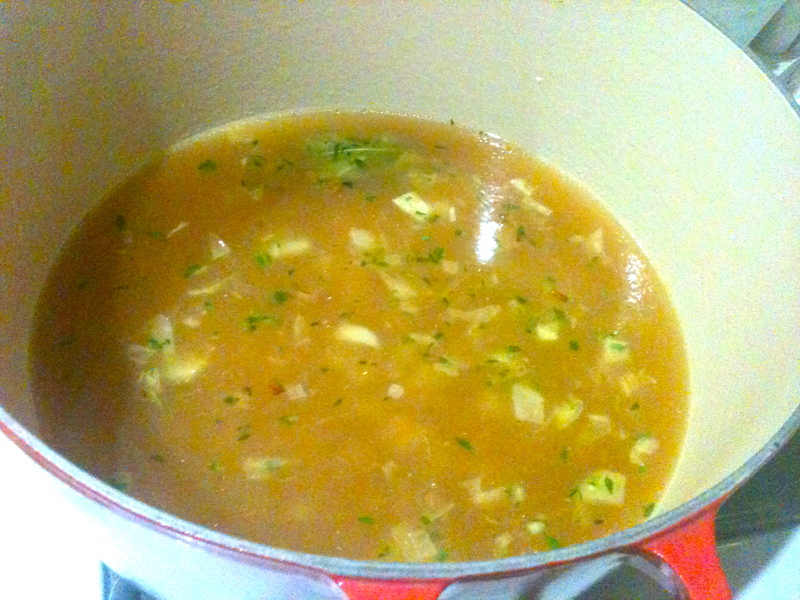 With butter, cheese, chicken broth, garlic, and fresh herbs, it’s is the ultimate comfort food. A word of warning, though: while the onion-shallot-garlic trio makes for awesome rich flavor, I discourage anyone from eating this potent soup prior to a date or a job interview, unless the date (or the job) is a garlic farmer. If your date is a garlic farmer, you’re in luck! Because this recipe serves 2. Over medium flame, heat butter and olive oil in a pot and add onion. 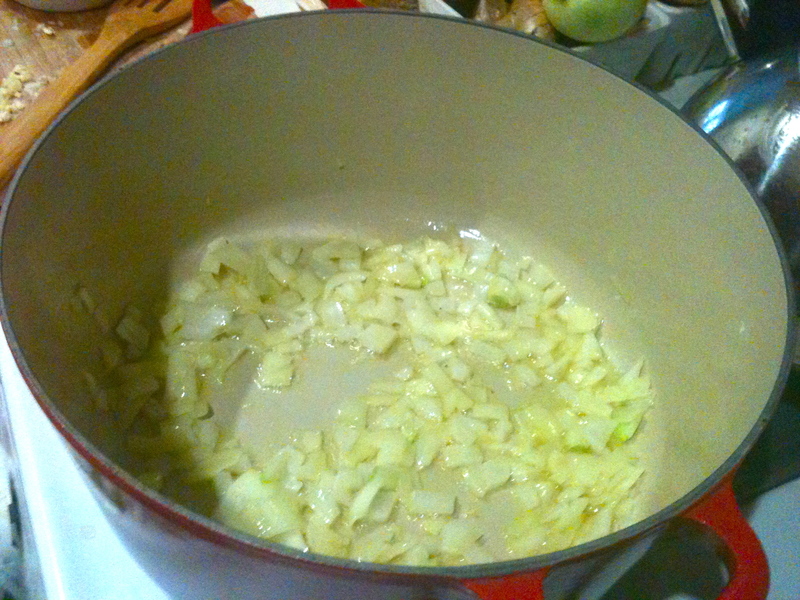 Cook until softened and add garlic and shallot. Cook 2 minutes. 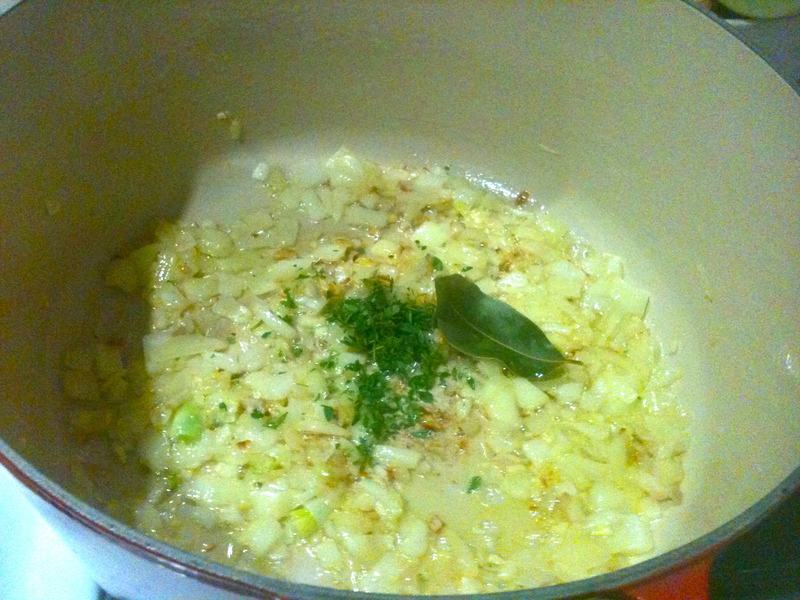 Add thyme and bay leaf and pour in chicken stock. Simmer for 30 minutes, stirring occasionally. After 30 minutes, season with salt and pepper. 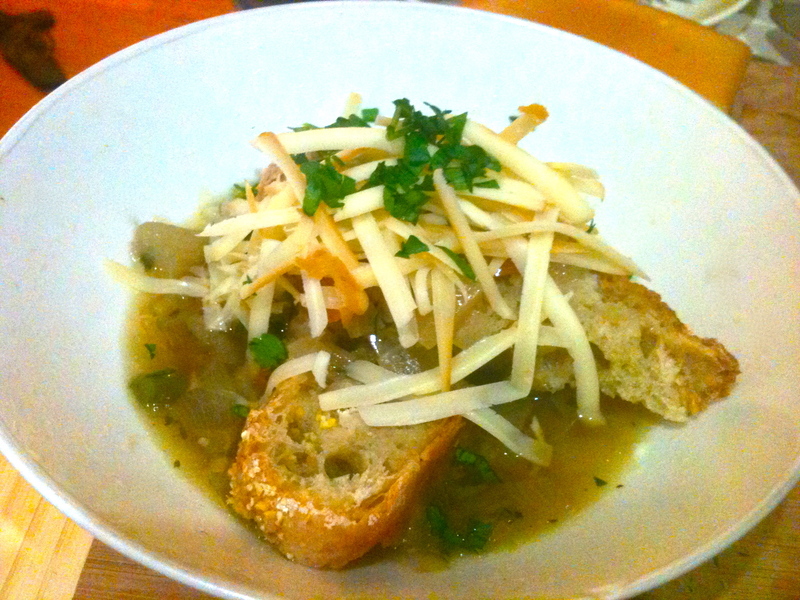 To serve, place bread in a bowl, spoon soup over it, then garnish with parsley and gruyere. Best served piping hot! Previous Cayenne Pepper and Orange Brownies.